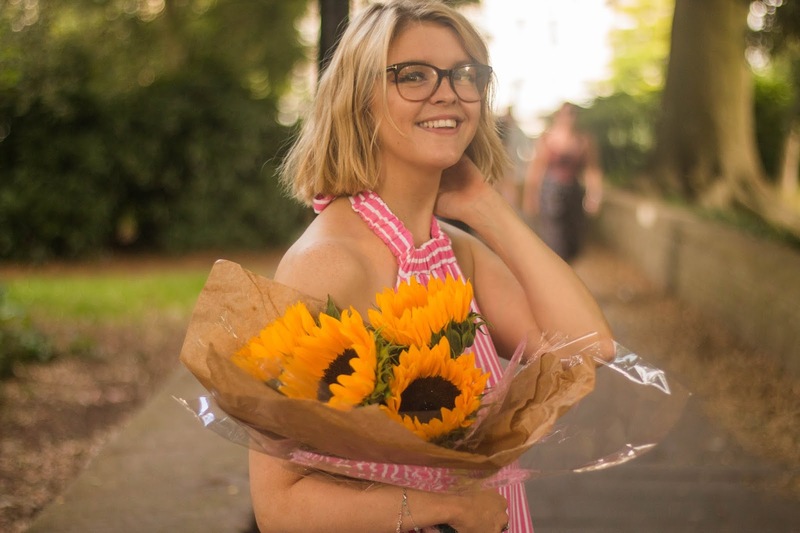 It has been a while since I've done a favourites blogpost, and as there are a lot of things that have been taking my fancy recently, so I thought I'd share some of them with you today. I've really been trying to up my skincare game, so I have spent far too much money on Cult Beauty - however I have little regrets as I'm happy with all of the things I picked up. I have especially been enjoying this Parsley Seed Anti-Oxidant Serum - it absorbs into the skin quickly and leaves your skin feeling smooth, hydrated and just looking slightly more alive. 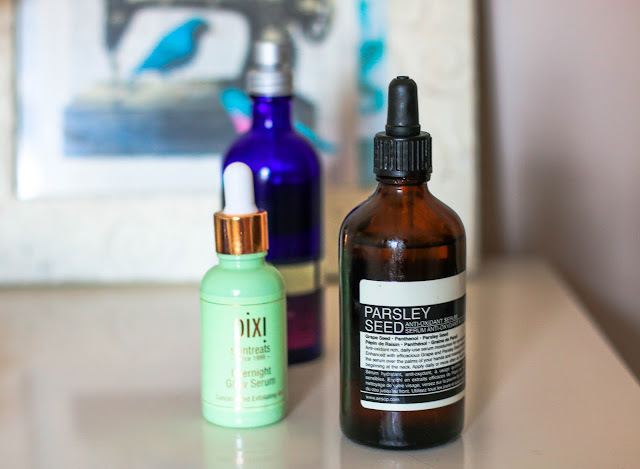 The Pixi Overnight Glow Serum also deserves a shout out. I pop this on before bed and my skin is looking and feeling fresher than ever first thing in the morning. 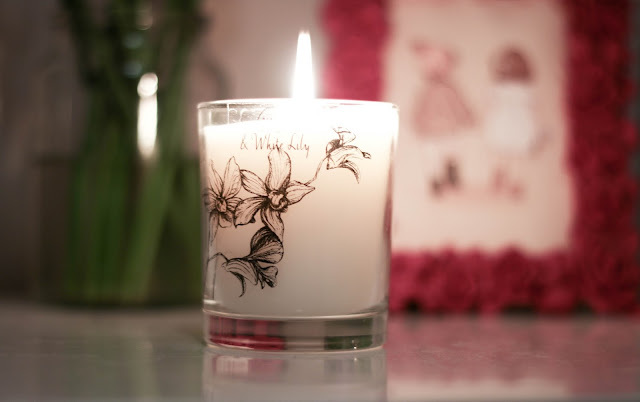 Every evening when I return home from work I have found myself looking forward to putting on my pjs and lighting my Stone Glow Ginger and White Lily Candle. It's a candle which scents the whole room, yet somehow it's not too overpowering. It's fresh, yet musky and it's just a scent I've really been enjoying. 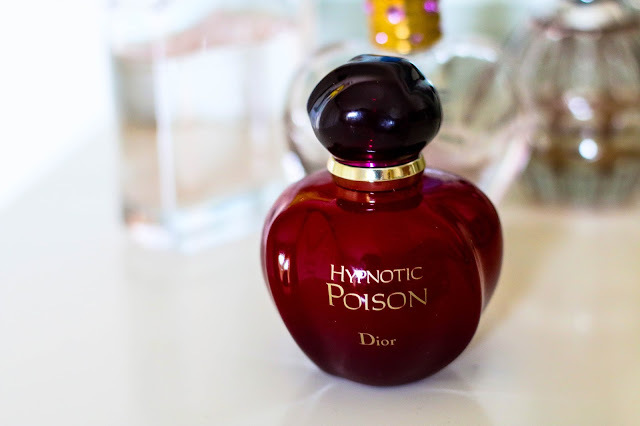 Another scent I've found myself enjoying is Dior's Hypnotic Poison. I find find this scent is feminine yet musky and mature. I find it near impossible to give a decent description of a perfume, so I'd recommend giving it a whiff . Whenever I wear this, and catch a hint of it throughout the day, I always find myself falling in love with the scent all over again. 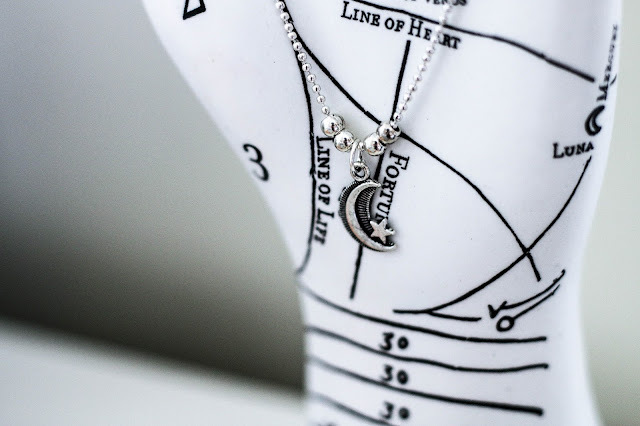 Lastly I have this cute little moon anklet I wanted to share with you. I don't usually wear anklets but when I stumbled across the one on the Coconut Lane website I knew I had to have it, especially at such an affordable price. Anyone that knows me knows I'm obsessed with crescent moons, and I think this is the perfect way to add a little finish touch to an outfit. 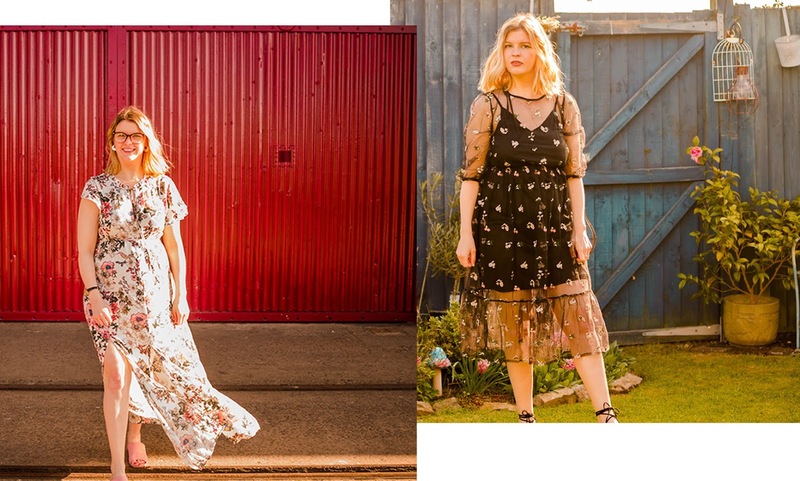 If this, or anything else on the Coconut Lane website takes your fancy, I have kindly been given a 20% discount to share with my readers - you just need to pop into 'chloeharriets20' at the checkout to save a few pennies. What bits and bobs have you been enjoying recently?